I read this article and found it very interesting, thought it might be something for you. The article is called ‘Migration Brings Wealth To Villages But Doesn’t Wear Down Caste Structures’ https://www.indiaspend.com/migration-brings-wealth-to-villages-but-doesnt-wear-down-caste-structures/. Mount Abu: Mass outmigration across castes has raised the standard of living in Kunkeri, a village in Maharashtra’s coastal belt referred to as Konkan. But this rise in wealth has not erased the caste structures in the village, concluded a new study published in the Journal of Interdisciplinary Economics. Kunkeri lies 12 km from Sawantwadi town in Sindhudurg district. Like much of the Konkan region, it has seen migration for over a century, with Pune and Mumbai being the top destinations. In the late 1800s, the dominant Maratha community led the first wave of migration. Ethnographic data collected by the Census of India in 1961 and 1987, combined with field surveys in 2017, showed that migration now touches the lives of all castes. In 1961, one in four families reported outmigration; this rose to three in five in 2017. Migration has also increasingly cut across gender, with women making up 20% of the outmigrants in 2017, up from nil in 1961. Despite social reform movements and laws, caste continues to decide important aspects of life in India: IndiaSpend has reported on voter preference for political leaders from their own caste and religion, the lingering resistance to inter-caste marriage, and the persistent inequality of income and wealth between castes. Tumbe has been working on migration issues for a decade. In 2016, he was a member of the Working Group on Migration for the ministry of housing and urban poverty alleviation. Tumbe is an alumnus of the Indian Institute of Management Bangalore and the London School of Economics & Political Science. You study shows that in 1961, 44 households in Kunkeri received Rs 18,749 by way of postal money orders. In 2015-16, the villages of Ambegaon and Kunkeri together received remittances worth Rs 255,000 through the post office, and additional amounts through bank transfers or cash transfers. How have these remittances impacted the lives of Kunkeri’s villagers? Remittances have played an important role in sustaining the economy of Kunkeri. Nearly all the 60% households that reported outmigration are directly dependent on remittances in one form or the other. Remittances have allowed people to acquire material comforts and significantly raise their standard of living. For example, in 1961, only two Maratha households owned bicycles while none owned a radio set. By 2017, television sets, two-wheelers, gas stoves and fans had become common possessions, even among the lowest castes. With all this money coming in, we also expected to see the land market develop somewhat. To the contrary, we found practically no change in the distribution of land ownership across castes. Brahmins and Marathas have traditionally been at the top of caste hierarchy in the village, Mahars at the bottom. In 1987 and 2017, Marathas owned around 90% of the land in Kunkeri while they made up about 80% of the population of the village. The number of Mahars owning land has increased from two in 1987 to four in 2017, but they collectively own less than 1% of the land when they make up 7% of the village by population. Despite growing affluence, we also found no change in the organisation of the village by caste. The Mahars and notified tribes continue to remain confined to their own wadis (hamlets), the Marathas to their clusters; some clusters have a mixture of Marathas and other backward castes. Caste segregation prevails. However, we noted an attempt by the lower Mahar caste to assert itself. In 2017, they made a written application to change the name of a wadi called Harijanwadi to Mata Ramai Nagar. Incidentally, the cluster had been renamed Harijanwadi from Maharwadi in 1987. 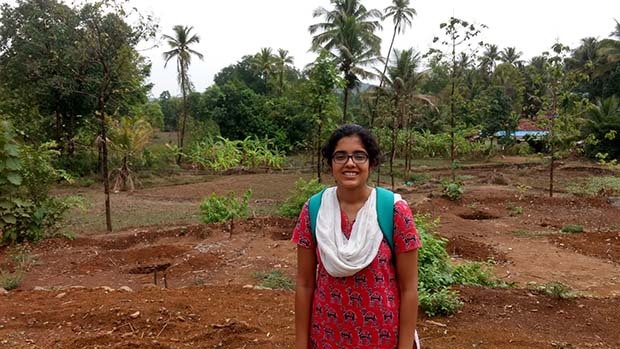 Surveys by Kalyani Vartak, a doctoral candidate at Tata Institute of Social Sciences, Mumbai, in Kunkeri, a village in the Konkan, in 2017 generated the data that were analysed for the paper Mass Migration from Rural India: A Restudy of Kunkeri Village in Konkan, Maharashtra, 1961-1987-2017. Why is Konkan still seen as backward because of persistent outmigration? Sindhudurg and Ratnagiri ranked ‘very high’ and ‘high’ on the human development index in the 2012 Maharashtra Human Development Report. Both fared well in education and showed lower prevalence of anaemia among children and women and better vaccination coverage among children age 12-23 months, as per National Family Health Survey, 2015-16 (NFHS-4). If mass outmigration is continuing in a region, you would assume that there must be something terribly wrong with the place. Since that isn’t the case with Sindhudurg and Ratnagiri, it gives us a glimpse into just how highly the people of the region value migration as a secure strategy to move ahead in life, and conversely, how aware they are that agriculture isn’t sufficiently rewarding. In general, the coastal strip from Palghar in Maharashtra to Goa is scenic, fairly rich and well educated but densely populated. We had some students hailing from Bihar and Jharkhand working in the Konkan. They wondered why anyone would want to leave the place. But there simply aren’t enough jobs to go around. And there is a strong culture of outmigration. In the 18th century, rulers of the Maratha Empire hired people from the Konkan to serve them in Pune. A large number of Brahmins migrated permanently during that time. During the British rule, Bombay emerged as the main destination for migrants as labour was needed in the construction sector, dockyards, army, police and other services. By 1881, 15% of those born in Ratnagiri were working in Bombay, though in the 1800s the movement of labour was predominantly seasonal. Ratnagiri sent 100,000 persons to Bombay in 1889 who returned to their fields in time for paddy sowing. Over time, migrations became semi-permanent, with migrants returning home only for festivals or important occasions. This culture of migration has persisted. In 1961, Ratnagiri accounted for 45% of the migrants in Bombay from the state of Maharashtra when its share in the state’s population was only 5%. Boys who successfully migrate are seen to attract a premium in the marriage market while those who fail experience a sense of shame. Having benefited from migration since so many decades, you could say migration is written into their DNA. One would assume that the most deprived people in a region have the biggest incentive to move out. But in Konkan, the upper Maratha and middle-rung Kunbi castes have dominated migration, and the most developed tehsils have seen the highest rates of outmigration. The erstwhile untouchable Mahar caste was traditionally underrepresented among migrants. Why did the upper and middle castes, who had better prospects at home, lead migration? And why should caste play a role in migration at all? In north India, where outmigration has been better studied, higher castes have been seen to migrate to towns that are further away from their native village and for longer durations, say, for more than eight months, while the lower castes migrated to nearer towns and for shorter durations, say for three months. This discrepancy is explained by the cost of migration. A migrant needs the wherewithal to withstand the uncertainty of earning an income on relocating to an unknown destination. This impact of cost on migration becomes evident if you study the population composition of urban India. Higher castes make up about 45-50% of urban India while the lower castes make up less than 30%. For the same reason, in Kunkeri too, the Marathas led outmigration. They were driven to migrate for better opportunities. Over the years, the Mahars almost caught up with the Marathas. This is reflected in the growing percentage of households reporting outmigrants, 26% in 1961, 60% in 2017. Migrants tend to stay with people they know when they first relocate to a city, to cut costs and to understand how the place works. Such networks are purely caste-driven. People of different castes hailing from the same village don’t mix even after they relocate to the city. We saw this during our study. We found that Mahars from Kunkeri who have migrated to Mumbai stayed away from meetings of migrants from their village. They felt alienated from such associations. How does migration affect the demographics of a village? One of the most striking impacts of migration on demographic data is on the gender ratio. For about 130 years starting in 1870, district Ratnagiri had a gender ratio of around 1,100 women per 1,000 males. This was because of mass migration. In those days, men would migrate while their wives and the elderly would stay back to look after the land. In 1961, Kunkeri’s gender ratio was 1,074 per 1,000 males, while among the Mahars it was only 967, which shows that the lower caste was migrating less than the general population of the village. By 2017, Kunkeri’s gender ratio had fallen to 955, which reflects the changing gender dimensions of migration. In 1961, Kunkeri had 83 outmigrants, all men migrating for work. In 2017, we documented 60 female outmigrants, they made up over 20% of the total outmigrants, and the principal reason for female outmigration was education and work, a massive shift from the 1960s. Interestingly, migrating for education was seen as a step towards migrating for work. With female outmigration picking up, Kunkeri’s age structure has also undergone a dramatic change. Under-15-year-olds made up 13% of Kunkeri’s population in 2017, down from 44% in 1961. Those aged 55+ made up 31% in 2017, up from 9% in 1961. Today, Kunkeri is a village with relatively many old people, and few children and adults in their prime. Another interesting demographic data point from Kunkeri is it has logged an annual population growth rate of 0.5% over the past 50 years, well below India’s 1.5-2% growth rate. In general, the Konkan region has been the slowest growing region in India between 1921 and 2001, due to migration. We welcome feedback. Please write to respond@indiaspend.org. We reserve the right to edit responses for language and grammar. Support IndiaSpend’s award-winning investigative journalism.